As someone whose artistic output is strictly as a DJ, Hessle Audio label boss Ben UFO manages to not only congregate an engaging and forward-thinking passage through modern sound, but also delivers a singular, well-defined artistic vision on his newest mix for the Fabriclive series. The mix starts simply enough with the dubby, ambient patchwork of Mix Mup, but quickly evolves into an eclectic blend of UK hybrid and techno. 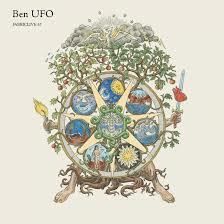 While there are certainly moments that stick out, Fabriclive 67 as a whole stands as a true testament to Ben UFO’s ability to select tracks that are wide-ranged in texture yet work together cohesively. A good example of this would be the jazzy African flavors of Tom ‘Love’ Lee’s “The Tortoise” mixed straight into the bass-infused vocal snippets of Elgato’s “Zone”. It is in these moments that we see why Ben UFO has been able to make a name for himself solely as a DJ - for while there are pauses of reflection such as Fluxion’s “Pendoulous”, the mix has a real sensibility for delivering unique dance-floor grooves that would surely keep a crowd moving. This is party due to Ben’s quick-paced and tasteful mixing style, but also to heavy tracks such as A Made Up Sound’s “Malfunction” and Blawan’s “And Both His Sons”. These tracks work in a very dynamic way with the rest of mix in that they provide a contrast to the softer moments present here, which something that is crucial when considering the overall structure of a mix. Towards the end things are capped off with the reverb-drenched synthwork of Kuedo’s remix of “I.C.E”, providing an almost cheerful conclusion without being overdramatic. All in all this is another successful mix for the Fabriclive series, and certainly should not go unnoticed.